Meg's Food! 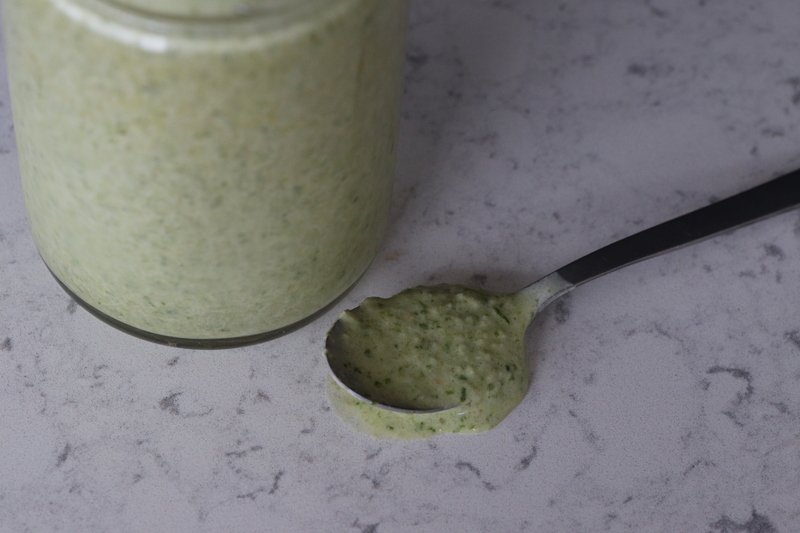 | My Favourite Green Smoothie - Meg's Food! I feel like everyone needs a solid green smoothie recipe. This is the recipe I reach for after a long run or a tough workout. It’s easy to make and full of protein and vitamins, just what you need to refuel. I love it because you can switch it up based on what you feel like and what fruit is in season, but the base recipe is tasty without any substitutions. It’s just a few ingredients but they all serve a purpose – a big serving of baby spinach so your smoothie is packed with vitamins, a frozen banana to add some sweetness and make it nice and creamy, milk, and peanut butter. I use unflavoured protein powder in this recipe for a protein boost, but use your favourite protein powder (I’m just not really a fan of the fake sweetener taste of a lot of flavoured protein powders). If protein powder isn’t your thing, you can sub in half or all of the milk with greek yogurt for your protein boost, and if you’re having this smoothie as a snack rather than a meal, you can just leave the protein powder out entirely. 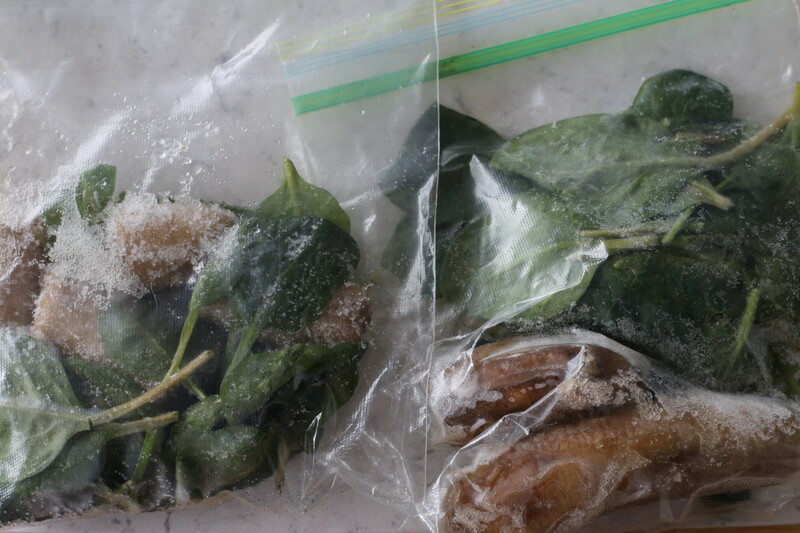 Because I make this smoothie so often I’ll buy a bunch of bananas, and when they’re all ripe, peel them, cut them up, and put them into little zip top bags with a serving of spinach. This way, you can just grab a bag and you’re ready to make your smoothie! 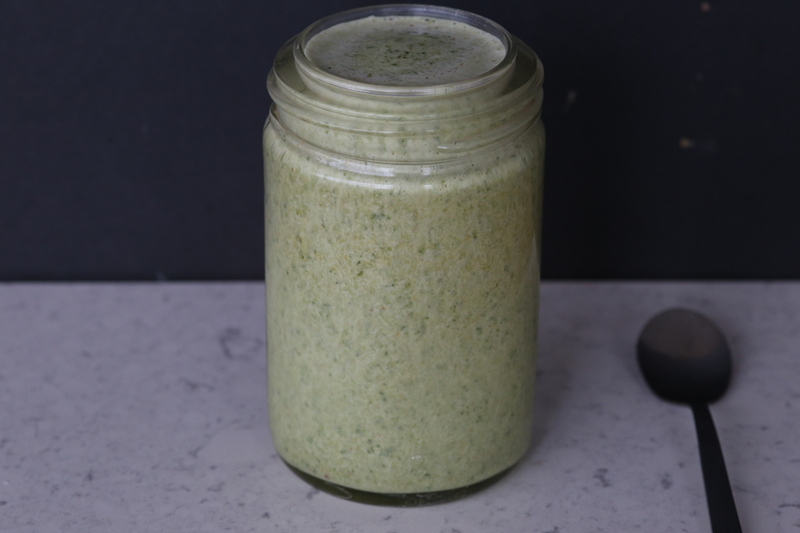 The banana and peanut butter totally mask the spinach, so you get a lovely, slightly sweet smoothie that’s packed with greens, but your tastebuds don’t know it! Whiz all ingredients together in a blender until smooth. Serve right away. What are your favourite things to add to your green smoothie? 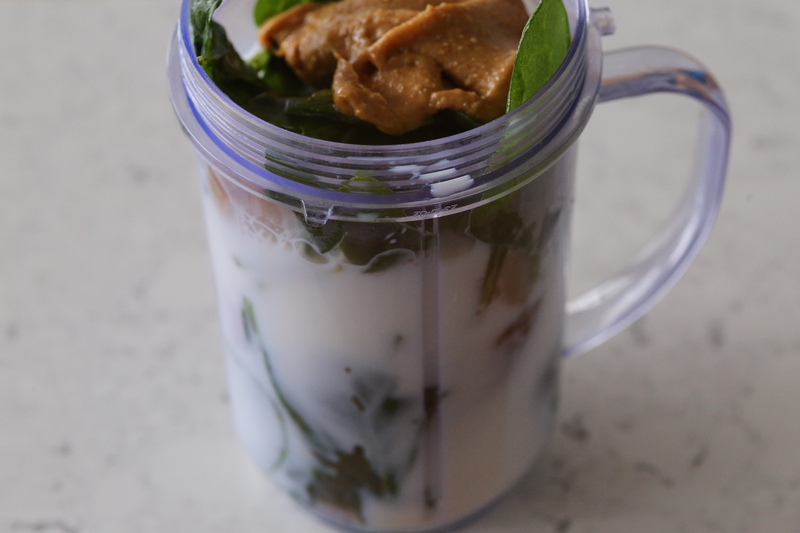 This entry was posted in Breakfast, Sip and tagged peanut butter, protein, smoothie, spinach. Bookmark the permalink.